For a team with a poor away record, there are few worse places to go than Palermo. 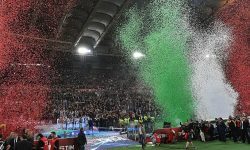 True, the Rosanero surrendered their 100 per cent Serie A record at the Stadio Renzo Barbera on Saturday with a 1-0 loss to Cesesna but they have still won six of their seven games on their home ground. Siena, by way of contrast, have collected just four points on their travels so far and are winless on the road in their seven games this season. The Bianconeri therefore go into this evening’s Coppa Italia last-16 tie away to Palermo as 37/20 underdogs in bwin’s 3Way football betting market, with the home side favourites at 73/100 and the draw priced at 51/20. Indeed, Palermo look to be heading for a win to nil at odds of 7/4 given Siena’s difficulties on their travels. The Bianconeri have scored just three times in seven away games in Serie A this season, and with Palermo keeping a clean sheet in three of their last five home games they look well placed to keep their opponents at bay. Add in the fact that Palermo have scored more than two goals a game at home on average and Devis Mangia’s men look more than capable of winning without conceding. At odds of 7/4, a successful £25 free bet on Palermo to beat Siena to nil would return £68.75, with the free bet available to new customers who sign up for a bwin account. Alternatively, punters could choose to bet on Palermo to win 1-0, 2-0 or 3-0 at odds of 39/20. Given Siena have only conceded seven goals in seven away games this season, it seems unlikely that Palermo will score more than three goals – even if they do boast the joint second-best home attacking record in Serie A. A 1-0, 2-0 or 3-0 bet therefore looks a better option than a win to nil, with a successful £25 free bet on this multiple correct score set to return £73.75. One final fact to consider is that six of the seven away matches played by Siena in Serie A have featured fewer than 2.5 goals. With the same being the case in the majority of Palermo’s home matches, a bet on a home win with under 2.5 goals could pay off at odds of 14/5. In effect, this is a bet on a 1-0 or 2-0 scoreline in favour of Palermo and, while more restrictive than the aforementioned multiple correct score option, a successful bet on the outcome will see punters win even bigger returns.